We are calling November “Tennis Month! !” We have not 1 but 3 round robins for November! We will have two adult mixed doubles round robins; an Adult Intermediate for levels 3.0-3.5 on Saturday November 10th from 7:00-9:00 pm and an Adult Advanced for levels 4.0+ on Friday November 16th from 7:00-9:00 pm. All round robin are $20 per player and will include pizza and refreshments! If you are unsure of your level or have any questions please reach out to myself or Brandon and we can assist you! Sign-up today for some great match play and come socialize with your fellow tennis center members! We are very proud to announce the new Ebensburg Tennis Center Loyalty Program. We appreciate your ongoing support and would like to reward you for your loyalty. Here is a list of the criteria to qualify for enrollment in our Ebensburg Tennis Center Loyalty Program. You now have the opportunity to qualify for either the Gold or Platinum Levels. *Any one of the five criteria will automatically enroll you in our Gold Level loyalty program. Gold level membership can be upgraded to platinum level membership by attaining any one of the four, platinum level prerequisites. Ex. Referred one new member in August, then referred another in October. *Any one of the four criteria will automatically enroll you in our Platinum Level loyalty program. 2) Fifteen percent discount on any tennis pro shop merchandise-this includes any special order merchandise. 2) Twenty five percent discount on any tennis pro shop merchandise-this includes any special order merchandise. *Loyalty program benefits may be redeemed at any time. An Ebensburg Tennis Center Loyalty Program sign-up sheet must be completed to qualify for the program. Enrollment sheets will be available at the front desk or can be e-mailed to you on request. Any additional details or questions please call or drop by the center for more information. Thank you again for your patronage and your continued support. We are trying to find better ways to make your tennis experience more enjoyable and look forward to your feedback and comments. We are excited to introduce our Loyalty program and will continue to look at ways to provide you with additional enhancements and more value for your tennis dollar! 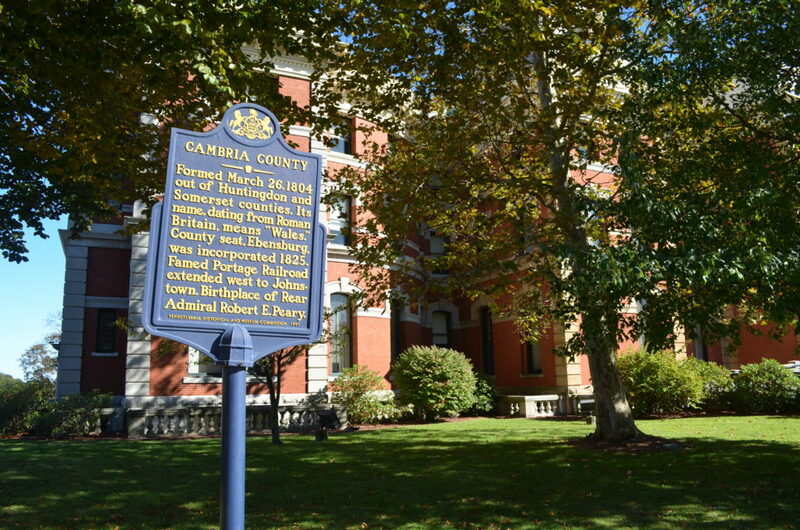 Ebensburg Borough, the seat of Cambria County government, is situated on a plateau in the geographic center of the county along the eastern fringe of the Laurel Hill Ridge. Ebensburg is located 19 miles north of the City of Johnstown, 24 miles west of the City of Altoona.